Every day, we make decisions that impact our lives, and the lives of those around us. EvE Online is no exception, in fact, the game itself is a celebration in the often good and bad daily decisions we make. 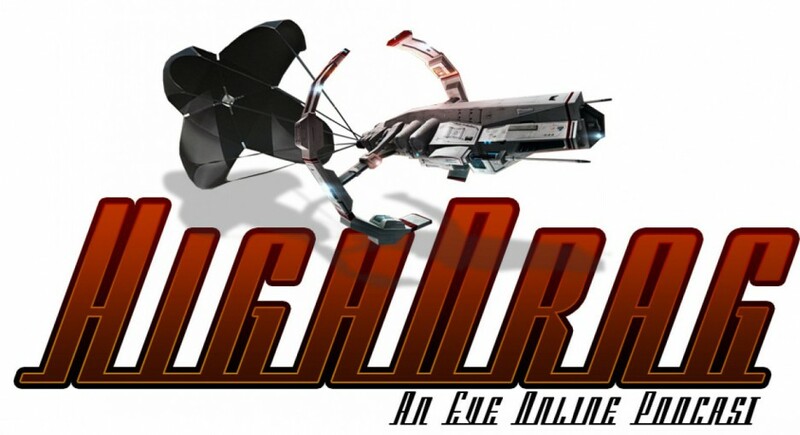 Downloading the client, clawing your way over the learning cliff, heading out to LOWSEC, orbiting instead of manual piloting, and of course, deciding to to subscribe to High Drag Eve Online are just some of the decisions you’ve made in your Eve life. We’re not deciding the the fate of nations (or are we?) but we are fighting wars, mining rocks, and pirating. When we begin to explore the choices we make in this game we love, we begin to learn some valuable lessons, and this episode, is all about those lessons. 1. Ashterothi, Random McNally, Kyle Yanowski, and Zealot Comadrin form the panel for this episode. 2. We stop eating lotus’ and journey through the Odyssey release. 5. Music in this episode: Mr. Blue Sky by The Electric Light Orchestra, I want to be Free by Queen, Who Made Who by AC/DC, and In the Summertime by Mungo Jerry. You ever heard of the chain of command? I still laugh out loud when I think about this scene, and funny enough (now that’s a good pun) it’s applicable to an EVE online topic that is near and dear to my heart. Fleet Command. Last night, the Gallente Militia found itself squaring off with a cruiser sized fleet from Rote Kappelle. Commanded by a veteran FC and comprised of a coalition of the willing, the cruiser sized Gallente fleet crashed head first into the organized and rehearsed Rote Kappelle gang on an acceleration gate inside of Nennemalia. Although the fight went to the Gallente Militia, the FC and his executive officer, were growing increasingly frustrated by the performance of individuals as the engagement progressed. Understandably, the veteran commanders were upset with voice communication discipline, the inability to account for point spreading, not focusing on the primary targets, and a few other issues that I cannot quite remember for the life of me. The aftermath of the victory, was a solid beating with the chain of command ala Jane Cobb. I have to admit, I was torn by how I felt when the fight was over as an over whelming success for the Gallente. We had just won, so why, on earth, was this Fleet Commander berating his Soldiers for beating the odds. So I thought about it, and came to the conclusion that we, as leaders (Fleet Commanders) in this game of internet spaceships, are lacking two things: Expectation Management and a Fleet Brief. I mentioned that the Gallente fleet (any fleet really) was comprised of a coalition of the willing. I neglected to mention what else the coalition was comprised of: Drunkards (my people! ), tired Americans, really tired Europeans, frightened noobs, rushed noobs, veterans, and 8 different corporations. A fine bunch of rubens they are individually, however, collectively (humans in general) can present an unfathomable level of stupidity. When we face this, we need to keep a few things in mind BEFORE the cat herding even begins. 5) We will not achieve fleet perfection… ever. The first thing a Fleet Commander in EVE Online should realize when forming a fleet, especially in organizations like Red versus Blue or Faction Warfare, is that we cannot achieve perfection. We will never be able to spread points perfectly, and DPS will not always be applied fully to the primary target; Our fleets, although eager, are free thinkers and often confused in a game that can become overwhelming very quickly. Leaders, or Fleet Commanders in EVE Online need to practice expectation management. Say it with me, “We cannot achieve perfection”. Doesn’t that feel better? We can say that, and still make a difference in our group and in the individuals in our fleet (no matter how drunk, or how bitter) because what we have just done… is manage our expectations. After this epiphany, there is no real reason to get mad at a lack of perfection. There is no need to beat people with the chain of command. What we can now do, is focus on realistically improving our effectiveness with perpetual PUG coalition fleets… and we can do that by informing our fleet before the engagement even begins. I often had pickup groups(PUGs) while deployed to Iraq. Sure, my Infantry Platoon was with me on every patrol; these Soldiers knew what to do and when to do it. I didn’t have to worry about them. What I did have to worry about, were the engineers that were now attached to me, the New Iraqi Army that was patrolling with me, the 20 screaming Peshmerga who didn’t like the Iraqi Army, and the “Colonel” that was visiting from Ballad that wanted to “see the area”. On just about every patrol, I had a mini coalition, that on paper, provided enablers that made my patrol better. The reality of situation was, I had a bunch of people who were untrained, and I couldn’t trust in one of the most harmful environments on earth. Like EVE, every additional member I had tacked onto my group, created more and more risk for the people I could count on. I was able to mitigate a lot of this risk, by providing a patrol brief before every patrol. The brief was simple; we all introduced ourselves, who had what positions, the order of movement, actions on contact, communication, etc. The brief was short, meaningful, and it brought everyone onto the same page. I took this lesson, and applied to my time Commanding in Red versus Blue. I can say up front, it paid dividends. Below is an example. Notice the redundancy in my intial communication. There is a reason an EVE Fleet Commander says “Jump” three times, or “Align to” three times. Drunkards, noobs, accents, tired individuals… bad coms. We need to work redundancy into all of our communication. Now that everyone in our make believe fleet is on grid, our Fleet Commander continues with his “Fleet Brief”. This example of point spreading is just a technique. It may not be the end all be all, but the point is, it is something. We are taking what would be the assumption that the pick up fleet knows how to spread points, and instead, briefing very clearly, a“way” to go about spreading points on contact. The end state of whatever technique you pick, is to inform your fleet before you are busy with more critical commands. I could go on, but I feel that you, the reader, can get the idea. Pick what you think is important, based on how you envision the battle going down. Never assume that your pickup fleet knows what to do in the absence of orders, because frankly, even professional military units do not know what to in the absence of orders, at least, not without delegated leadership (and that is another topic later on down the road). Three minutes spent bringing your fleet onto the page you are reading from, will pay dividends later in the fight. We owe it to our pilots to inform them. Of course, you could always go the way of Jane Cobb and grab the chain of command, and beat your fleet members into the ground until they understand who is in charge… but I do not think that worked out too well for Jane. It is amazing how productive an EVE addict is when there is no EVE. Since you are here, instead of blowing up opponent internet spaceships, you too are more than likely another refugee from the great CCP DDOS war of 2013. The horror. There is a silver lining to the dark ominous cloud of “where’s my Eve?”… We have managed to put some work into the new look of High Drag, and we would love to know what you all think. There is more to come and of course, we are going to record another episode this Wednesday.